Welcome to the official website of ACS Malaysia Chapter. As you may know, all registered ACS members outside United States are entitled to be part of the International Chemical Sciences Chapters which allow member within a geographic area to connect with one another, and with other members around the globe. After all, scientist should advocate the idea of borderless working across nations in addressing the complexity of the causes, impacts and solutions of many global concerns, according to the science diplomacy notion. This scheme can be accomplished via the ACS platform which has the truthful mission to advance the broader chemistry enterprise and its practitioners for the benefit of earth and its people. It is reassuring to see our chapter has successfully attained tremendous achievements. We have been acknowledged with the ACS Salute to Excellence Award and ACS Partner for Progress and Prosperity Medal. Currently there are more than 200 ACS members resided in Malaysia. The chapter committee members are committed to raise this chapter to the greater height with the inclusive participation from all members. We have agreed to operate based on region; to start with central, northern and southern areas in addition to the institutional representatives. 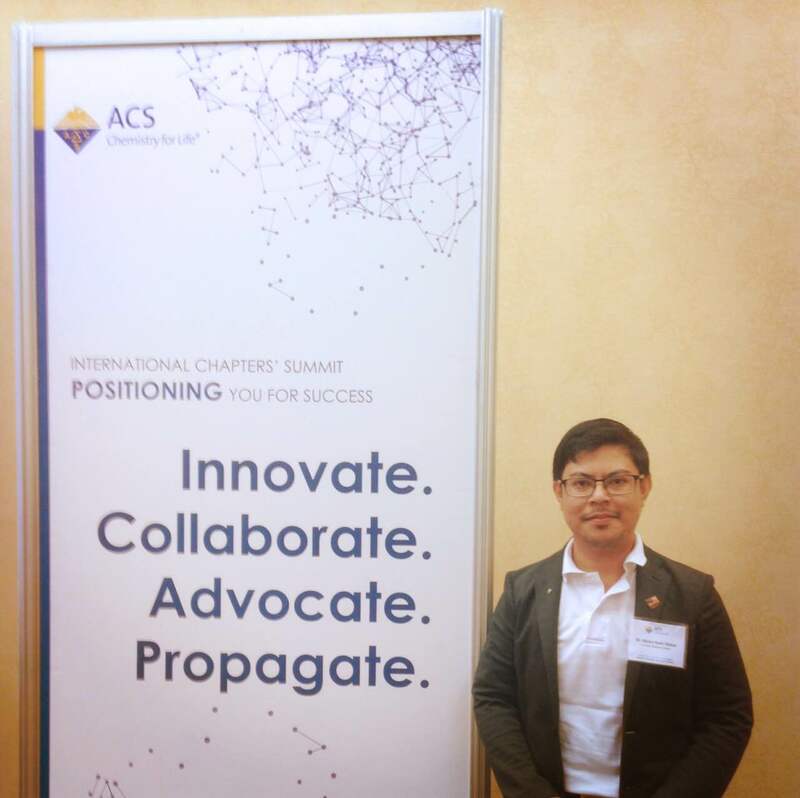 ACS Malaysia Chapter has its vision in transforming professional talents and fostering greater networking across chemistry boundaries in improving people’s life. In line with ACS goals, our chapter aims to advance member’s professional careers, improve education and communicate chemistry’s value. Nevertheless, this chapter was formed upon member foundation and strength. Thus, all members are welcomed to share and contribute ideas for the benefit of each member’s professional career and to our chapter. Nearly two years have passed which oversee the blossom of our chapter’s activities based on education and outreach agenda via the strategic partnership with various institutions. At this point, we will precede the same breadth of programs with further added values as well as continuously seeking the innovative way forward with the active support from all members. Besides, this website will provide a useful platform to keep track our latest activities and sharing our member expertise for the inbreeding networking across the nation. Please contribute to this chapter in any of your convenience and interest. Make this chapter as your own. There will be much excitement ahead to work together in achieving the common goals.